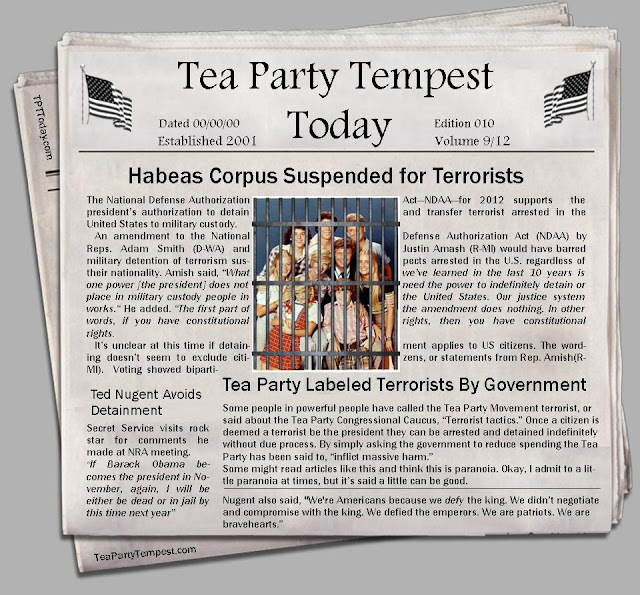 Habeas Corpus for terrorists has been suspended by the National Defense Authorization act. This might not be so astonishing, except this applies to American citizens. 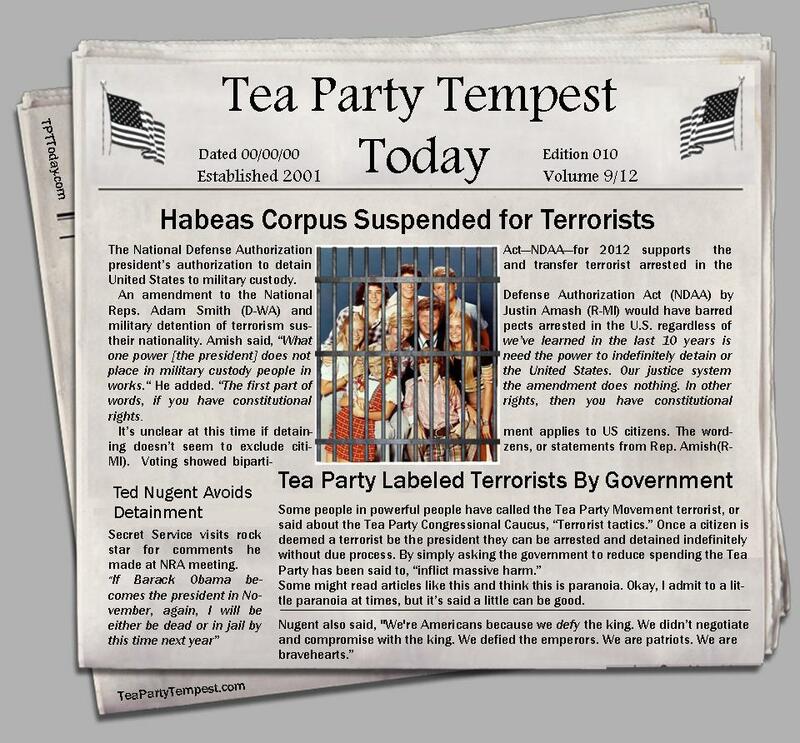 Now if suspected as a terrorist you can disappear and no one would ever see you again. The government can search your home without a warrant. 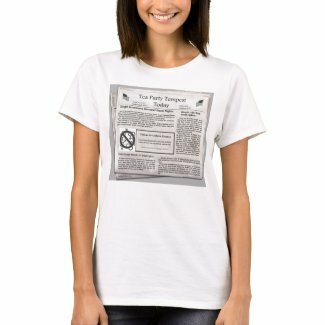 They have made it clear this might apply to the Tea Party.